Drinking Water Filters: Why Install a Reverse Osmosis Water Filter? Why Install a Reverse Osmosis Water Filter? Many of our readers have asked questions about reverse osmosis drinking water filtration systems and want to know more about them. Hence the purpose and reason for this deviation from the normal subject matter in this Water Testing Blog entry. “Today, people are increasingly concerned about the quality of the water that they consume. Under the best of conditions, it’s possible that water may contain hazardous contaminants, ranging from dissolved organic and inorganic materials, to suspended particles and microorganisms. If you live in a home with older pipes, you may also be exposed to lead in your water. Even the chemicals, like chlorine and fluoride, that many municipalities add to water to kill bacteria or to fight tooth decay may be harmful to humans. If such chemicals are not used, your water could be harboring deadly parasites. If you suspect your water may contain microorganisms, lead, or other contaminants, have your water tested. To decrease their exposure to possible contaminants, many people drink and cook with bottled water or put distillers or disposable cartridge filters on their water supply lines and faucets. However, bottled water may not be any purer than the water taken from your faucet, distilled water requires boiling and tastes flat, and although charcoal filters improve the taste and remove odors from water, they do little to remove chemical contaminants and microorganisms. If you find your water is contaminated, choose the correct water filtration system to correct the problem. 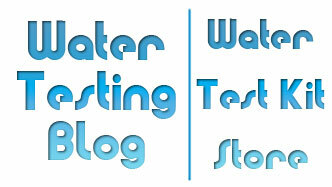 Water Testing Information » Blog Archive » If I Drink Tap Water, Should I Use a Filter? 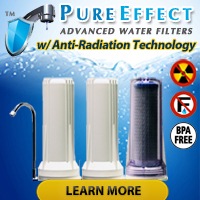 « Drinking Water Filters: How Do Reverse Osmosis Systems Work?